Ibrahim Karim, Ph.D. /Dr.Sc. is a graduate of the prestigious Federal Institute of Technology (ETH), Zurich, Switzerland. Founder of the qualitative science of BioGeometry & the new Architecture and industrial design school that uses the subtle energy effect of geometrical shapes to induce harmony to our modern technological or natural environments. He currently teaches at several universities and supervises numerous postgraduate studies on the applications of the science of BioGeometry. Dr. Karim was recognized and honored by several institutes for his work in the environment and was chosen as man of the year by the Swiss magazine "Anzeiger" in 2005 for his success in reducing the effect of 'electrosmog' in several regions in Switzerland. These projects were done in collaboration with the Swiss Mediation Authority for Telecommunication & Environment, Swisscom the main cellular provider and the Local Governments. The results received wide media acclaim and were featured in several documentaries on the Swiss National Television. For many years Dr. Karim held several advisory positions in Egypt to the Ministers of: Health, Culture, Tourism, and Scientific Research; where he headed a research unit at the National Research Center to study the effect of geometric shapes on the life functions of micro-organisms after the acknowledgment of success and patenting of his research. As a practicing architect he heads his own architecture consulting and industrial design firm. Dr. Karim is a respected and renowned figure in the Middle East through the media exposure of his work. He hosted his own show and is a popular guest in many talk shows on several television channels. For more than 23 years, Andrew, 60 years young, has worked tirelessly, selflessly, and self-funded. He has been helping people around the world regain control of their health by simply advising them to raise their beds at the head end to a five-degree angle. This is based on his new understanding of the role that gravity plays in driving our circulation. Music: The Stone Roses - How Do You Sleep At Night? 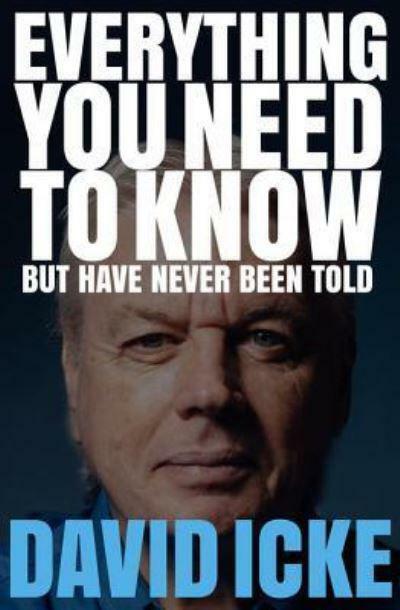 David Icke has spent over a quarter of a century unraveling the secrets of the universe, reality and the forces that manipulate our world. After writing more than 20 books, David Icke has driven on with his relentless investigation into subject areas that others don't dare touch. 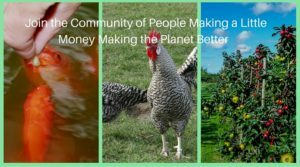 David joins us again on Alchemy Radio to discuss his current world speaking tour, the largest he has embarked upon to date, the role of the media in advancing the nefarious agenda of the control system, the schism that is now apparent between those who want to break free from their enslabement and those who prefer to turn a blind eye, and many other interesting topics. Aaron O'Dea is a singer, songwriter, magician and multi-instrumentalist from Ireland with a wise and interesting take on the world around him. Aged just 15, Aaron practices critical thought and eschews the path most regularly trodden by his contemporaries and school-mates, favouring an authentic journey of individuality. On this episode of Alchemy, Aaron discusses his own perspective on growing up in Ireland, the world at large, his music career and the infamous 'Green Book', which was central to a previous episode of the show. Alchemy 090 - Wayne Dorband - Having Enough To E.A.T. Wayne Dorband has a 30-plus year career as an environmental entrepreneur. He was a pioneer in environmental consulting, founded ATC Environmental and took it public in the mid 1980’s. He is also a co-founder of Cherokee Investment and International Risk Group, two of the largest acquirers and redevelopers of environmentally impaired real estate in the world. Most recently he has founded Dorband & Associates, a Northern Colorado-based green consulting and technology group of companies. John Hankey is a writer, researcher and filmmaker who explores in-depth topics such as deep State and current affairs. His specialist subject is the death of JFK. 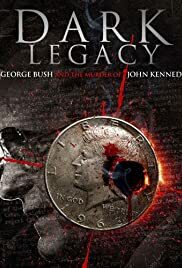 John is currently working on a 54-year retrospective on the murder, and how, 54 years down the line, the case gets more and more fascinating, with more and more shocking revelations, like that the Zap film was a hoax; as are virtually all the important official documents relating to the last months of Kennedy's presidency. John also discusses the death of JFK Jnr and invites comments and questions from any listeners relating to the interview. Gemma Hughes is a naturopathic herbalist based in Waterford, Ireland. Her passion is to teach people about wellness, using herbs and healthy lifestyle choices and on this episode of Alchemy, Gemma discusses the merits of her profession and shares practical tips and advice on how to incorporate the naturopathic use of herbs into everyday life. Crrow777 is a researcher, broadcaster and independent thinker who is helping to deconstruct the control-based paradigm that has been enshrouding humanity for eons. Through his work on the Lunar Wave and incredible collection of HD video clips broadcast on his hugely popular YouTube channel, Crrow sprang to attention and now continues to promote higher thinking and critical thought through his Crrow777 podcast. Topics discussed include space as a liquid, the ISS, moon landings, nuclear weapons, star wars, dinosaurs and many more. Hilary Connor is based in Gorey, North Wexford, Ireland and from a very young age has been blessed with the ability to see, feel & hear Spirit. Throughout the years she learned from Spiritual teachers (or her Spirit Guides) how to develop the connection with our Spiritual helpers. She has been a working Spiritual Medium since 1999. Saoirse Hypnosis & Spiritual Well-Being was founded in 2011. Hypnotherapy became part of the healing practice as a result of a progressive journey working with clients in the area of healing, spiritual & personal development and growth. David Icke has spent over a quarter of a century unraveling the secrets of the universe, reality and the forces that manipulate our world. After writing more than 20 books, David Icke has driven on with his relentless investigation into subject areas that others don't dare touch. David joins us again on Alchemy Radio to discuss the apparent wave of anti-establishment feeling that resulted in some unexpected events in 2016, how the establishment seeks to constantly divert us from our true path to suit their own nefarious end and also talks about his current world speaking tour, the largest he has embarked upon to date. We also have a competition with the super prize of a ticket to David's upcoming speaking event in Dublin, Ireland. Tune in and good luck! Examining the world that you don't see in the mainstream media. Care, will, intelligence, imagination... Are you tuned in? Are you tuned in?